When Swami started conversing with Ana Elena Diaz-Viana through dreams in 1976, she had absolutely no idea of who He was. In fact she had to wait for another five years to find out, that too rather dramatically, that the "Man in her dreams" really existed and was real. Since then Bhagawan has been guiding her through dreams and personal experiences. Ana received a technical degree in Computer Sciences in her native Venezuela, where she was the founder of Sai Centers in different cities of the country and eventually worked for the S.S.S.B Organization, becoming the first president of the Venezuela’s Coordinating Committee in October 1988. Since 1993 she lives in the USA. In a visit to Swami in 1997 He gave me indications to ‘write’. In the next trips He even made gestures as a joke about my ‘inability’ to write a word. For years I remained apprehensive for the want of a further hint from Him. Then one day, after I had all but lost sight of my writing intents, it happened. I only prayed for a hint but He sent me a whirlwind! In the beginning of May 2012, I was suffering a terrible migraine that lasted for around 45 days! No treatment or medicine was effective to alleviate the pain. In the middle of this crisis and unable to work, it became necessary to take short-term disability from a demanding job at a Silicon Valley company. Life then, was just a pain, doing nothing. One day, Edward my eldest son who is a long-time friend of Sreejith, sent me the electronic copy of Sai Thy Kingdom Come. With the heart pounding, my soul crying with joy, I read. That book was revealing my deepest feelings, the hope that was burning my soul like a fire since the moment He left. When Swami left His body, while feeling overwhelmed with sadness, suddenly a memory started to come back. It was a blurred memory, almost like a foggy dream coming to my mind from a distance of 26 years…. It was in 1985, during my second trip to India. Teresa my best friend and I were in one of the accommodation sheds in the Ashram. After 9:00 PM the lights were off but I continued reading in candle light, a book with some exciting prophecies about Swami. One of the prophecies said about a period of time in which “the devotees and the whole world would think that Swami is dead. The devotees will be desperate; they will cry and will not find consolation anywhere. But He will not be dead; He will come back after a long period”. The memory became clearer, and I remembered that night of ’85 waking up Teresa: “Tere, we have to remember this in the future! If we remember this warning we will not be desperate, He will disappear and everyone will think He is dead but He will come back!”…. We were so certain that we would remember…but of course when He left we were as desperate as everyone else. I called Teresa immediately, she didn’t remember at first, but after few days the episode started to come back to her slowly. It was a very distant memory, and we couldn’t remember the name of the book. This is why, after reading the first three pages of Sai Thy Kingdom Come, with tears in my eyes I called my son and requested him to contact Sreejith to see if he wanted a Spanish translation. 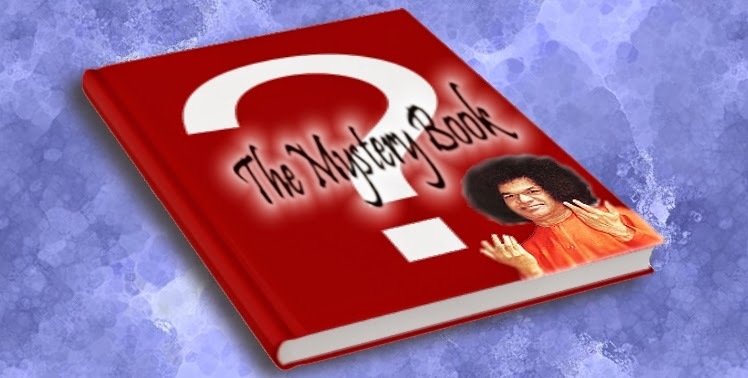 My son gave me Sree’s contact information and few minutes later on hearing my request Sree told me: “You are not going to believe it, but I have been praying to Swami for a Spanish translator because I know there are many Sai devotees in Latin America”. So, that was it! My writing began. I started the translation thinking ‘My head will explode in pain, but the bliss, the happiness of reading this information would make it worthwhile’. To my surprise (really? I should have known!) the migraine disappeared completely when I was translating and for the next three weeks it was just pure bliss. Divine energy was the medicine! Since I didn’t have to work due to my disability, I was free to dedicate the entire time to the most beautiful job I ever had! As I look back, I realize the bounteous blessings that I have been conferred upon, of being a witness to the “Part I’ of the life of the Avatar. Awaiting Bhagawan’s Return and the “Part II’ of the Avatar, I ecstatically proclaim that the story of His disappearance and the eventual reappearance would be one that will be told for many generations to come! Thank You Lord, thank You for the memories. Thank You for sending my way the two books, one in 1985 and the other 27 years later, that made everlasting impressions in my life. And, thank You for the privilege of sharing with my Spanish-speaking brothers and sisters the annunciation of Your return!